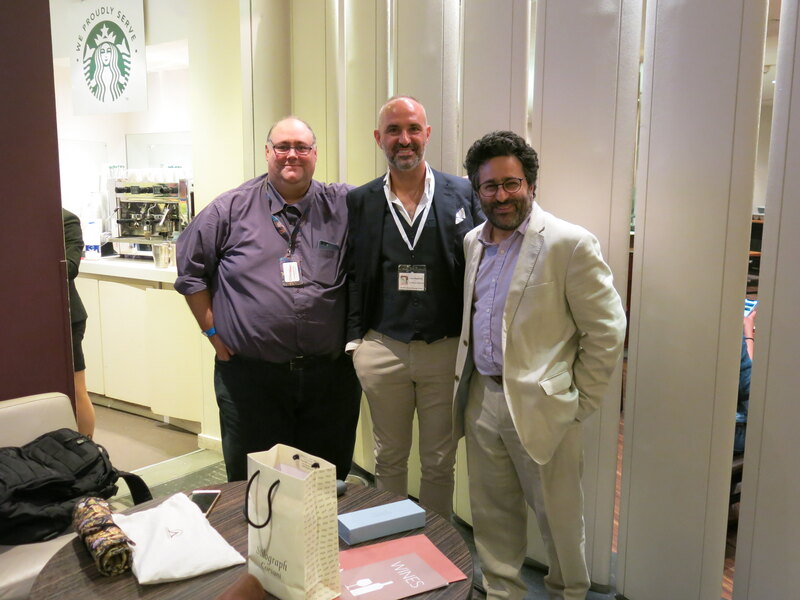 One thing Luca Baglione, CEO of Srittura Bolognese (ScriBo) is keen to point out is, while he and many of the staff came from OMAS after it’s closure, ScriBo is not a phoenix or a restart, but a new company which is built upon the DNA of the former company (along with some of the manufacturing tools). Initially we first saw a new pen materialise as a store specific limited edition for Write Here in Shrewsbury, UK, a new looking pen using the OMAS specified Bock nibs we saw and loved from the latter days of OMAS. 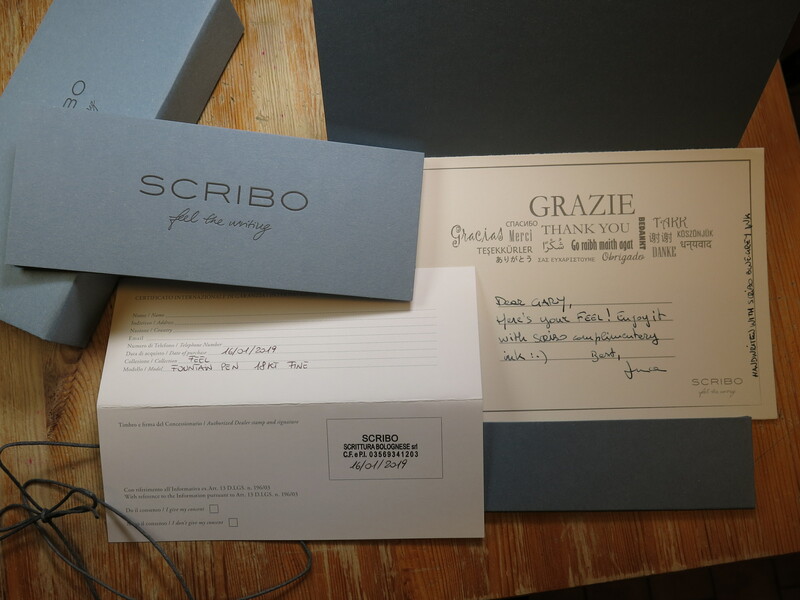 During the summer of 2018, post a couple of high end collector models, ScriBo announced a new consumer model, the Feel, which I saw at the London Writing Equipment Show. My first impressions were captured here (note I’ve since found out the nibs are now produced by Scribo themselves using the old OMAS machinery, and not by Bock) and also in this video of myself and Penultimate Dave interviewing Luca. 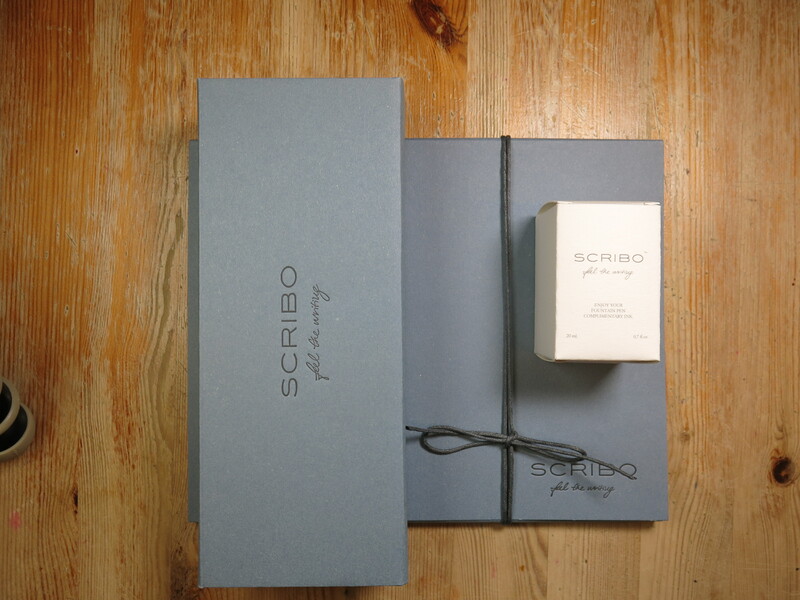 There are two versions, one in the ScriBo corporate colours of blue/grey, and the other a dark blue. Both look very smart and could be used in any business environment as well as casually. The pens are made from resin, as are those from a number of top German manufacturers, and each one is turned by hand from an individual rod. Towards the end of the year I decided to put my money where my mouth is (or previous blog post anyhow) and to treat myself to a X-Mas present. 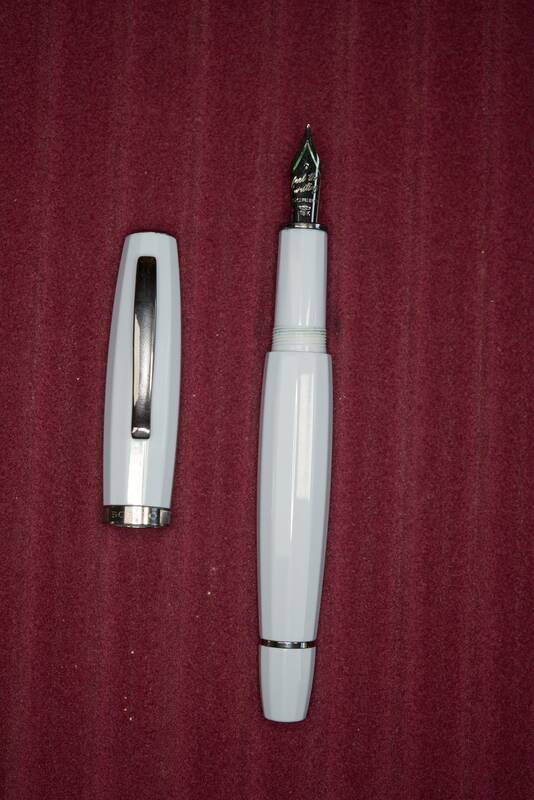 This is to date the most expensive pen I’ve ever bought, at €650, or around £600. 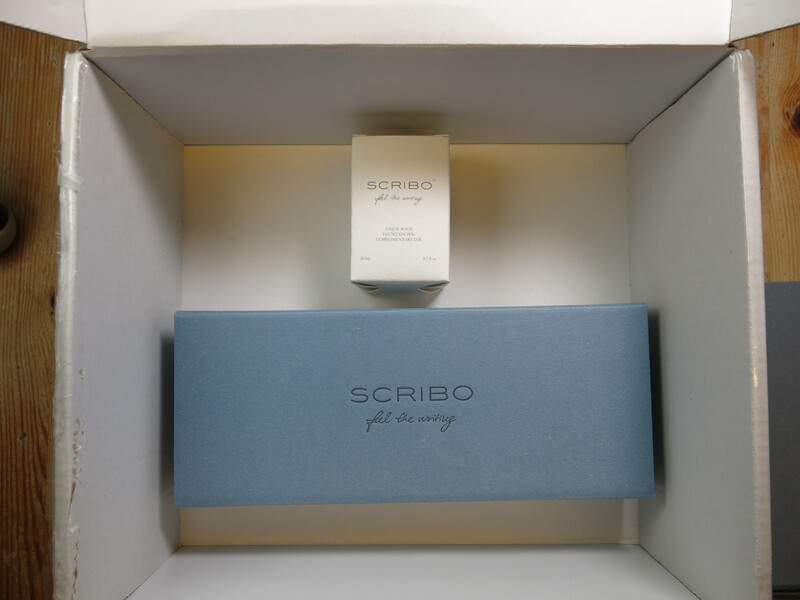 I decided to buy it direct rather than from John Hall at Write Here (for which I do feel a little guilty), with the result that it may have cost me a little more (under a fiver), but came with the unexpected benefit of a 20ml sample of ScriBo’s upcoming ‘ScriBo’ blue-grey ink (their corporate colours). There was, as ever, a catch. I’m not sure the level of initial interest was expected, but they had sold out of their initial production run and so I would have to wait until January at the earliest. Additionally the 14k fine extra-flex nib, which I was going to choose, also proved to be very popular and if I wanted that one I would have to wait even longer, until March. I had already contemplated getting a fine or medium 18k nib though, as this would be an every day pen (I was not going to spend that much money and just have the pen sit on display or in a drawer) and I find my flex nibs can make quick note taking a bit awkward, so a fine 18k nib it was. I received my invoice in mid January and the pen arrived a week later. 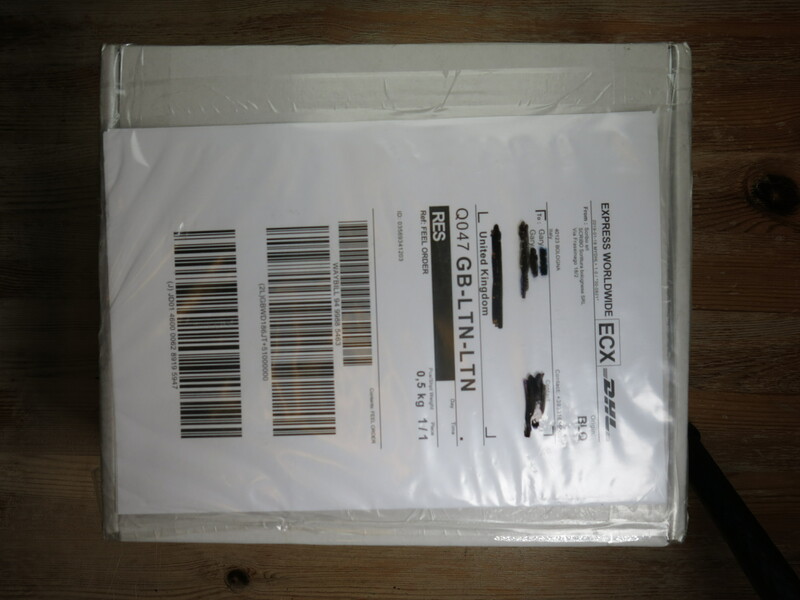 The box was topped by a smart looking document folder including both warranty and hand written thank you cards. 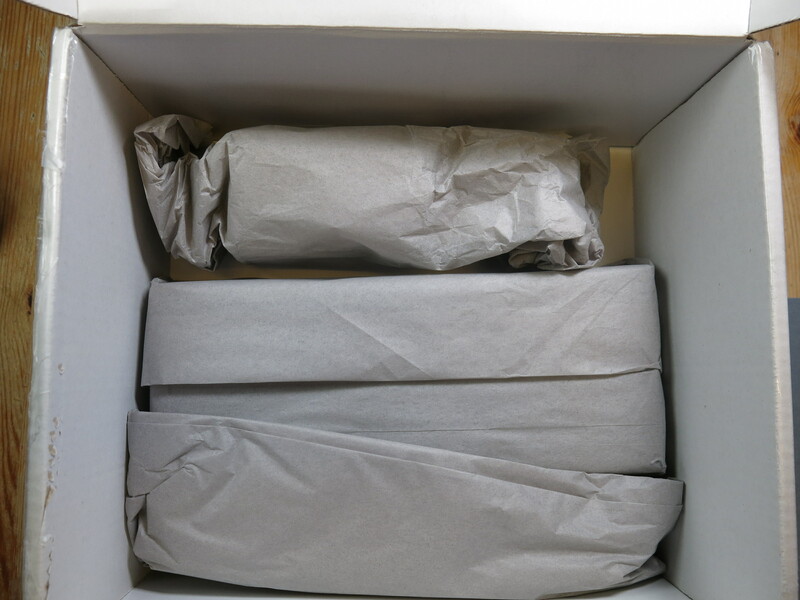 Under these was paper packaging to secure the contents and two paper wrapped boxed. One the pen and the other the unexpected bottle of ink. 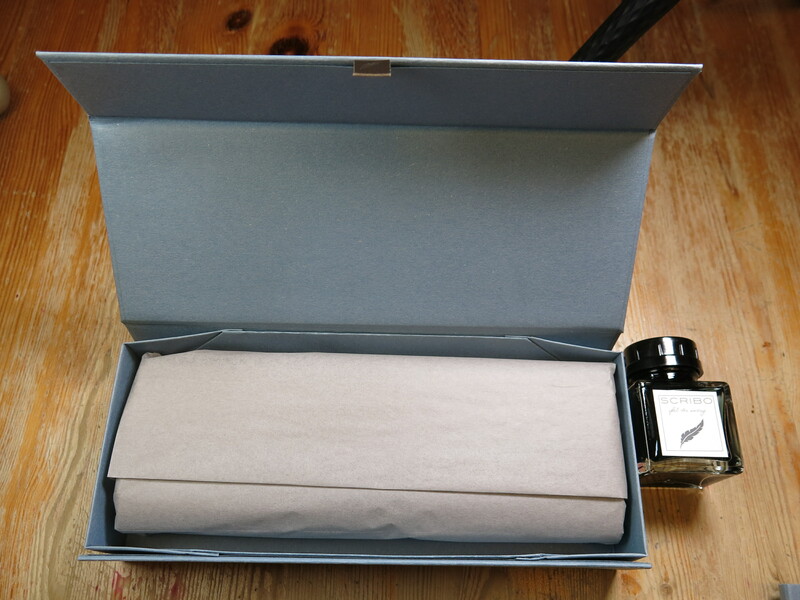 Opening the magnetic clasped box and wrapped in tissue paper was the cotton and leather roll, which contains the pen, and is designed to be used. I took the decision to try it out and have kept the pen in it since it arrived and have been throwing it in to may bag to take to work for the last four weeks. The only damage since then is a slight ink mark I somehow put on it. I must admit I was hoping the cotton would soften slightly but it was purposely made tough to protect the pen and so this has not happened. 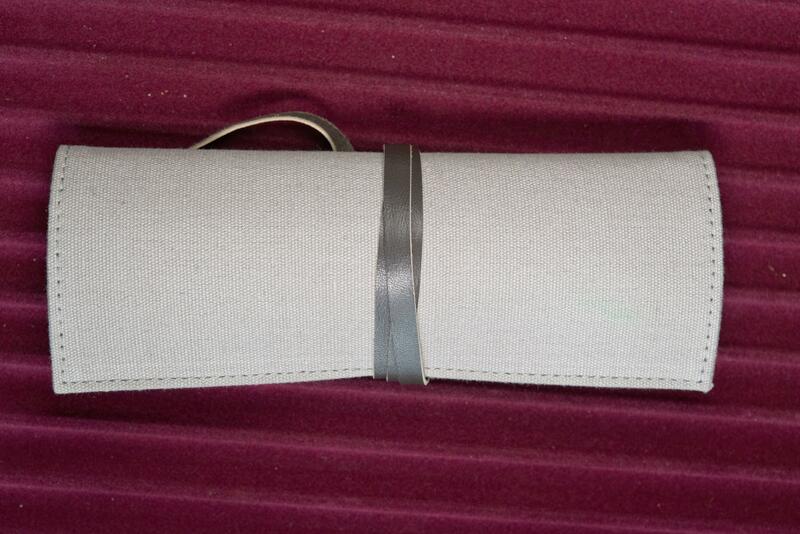 Inside the roll, there is a tight leather fronted, ScriBo branded, pouch containing a polishing/cleaning cloth. This pocket could also be used for holding business cards or blotting paper/card. 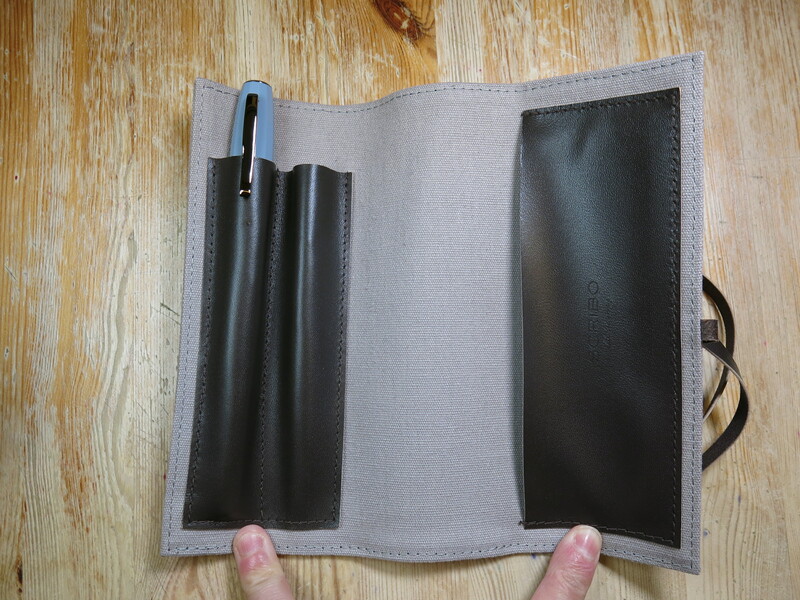 On the other (left) side there is a twin leather pen holder. The Feel comes in the left one, and there’s enough space for another similarly sized pen to be placed in the right (which I did with a Visconti Oversized Bronze Age Homosapiens). 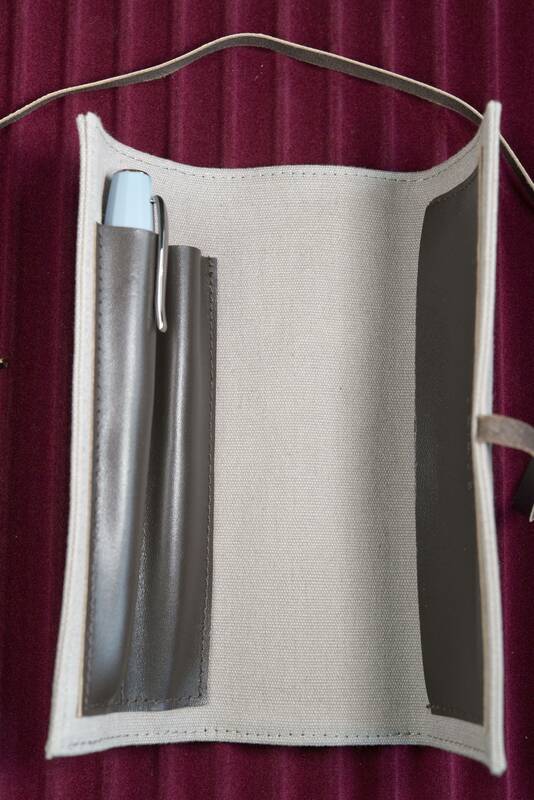 The pens are kept secured and protected. 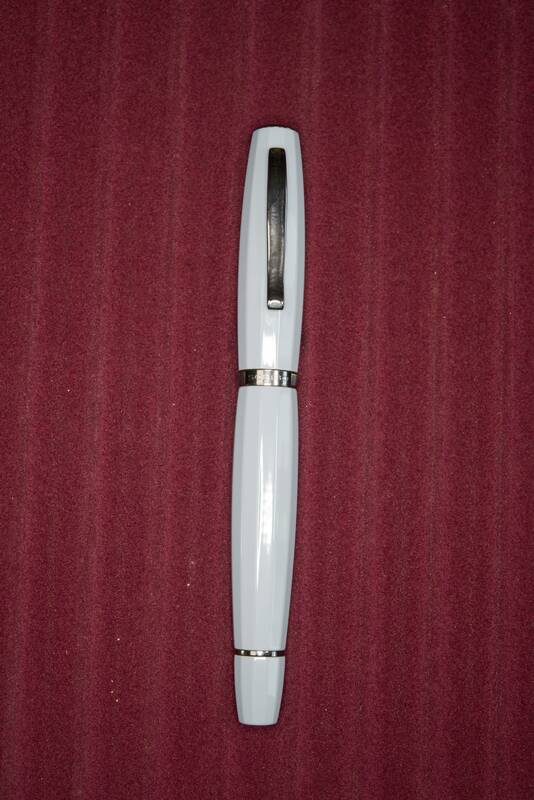 The pen itself is large and curvaceous. It has 12 facets on all bar the threads, so even on the grip, and these do line up precisely. The cap and the main section of the barrel are of a similar length and curve round, with the ends which meet being wider than the far ends. The piston nob also curves round, but to a more subtle extent and almost looks like an extension of the flow of the barrel. 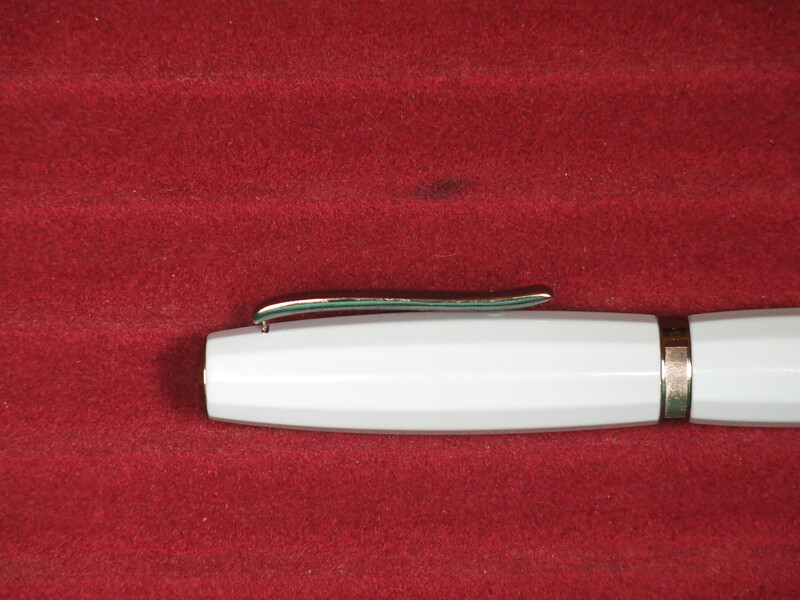 There is something rather feminine about it when the pen is standing on it’s end finial. For some reason I’m reminded of a 1920s art deco bottle or figurine. Note the cap will not post, and as Luca mentioned in the video referenced at the start of this review, this was by design. Personally I do not post pens anyway and on the Feel this would not be an issue even for someone with large hands. 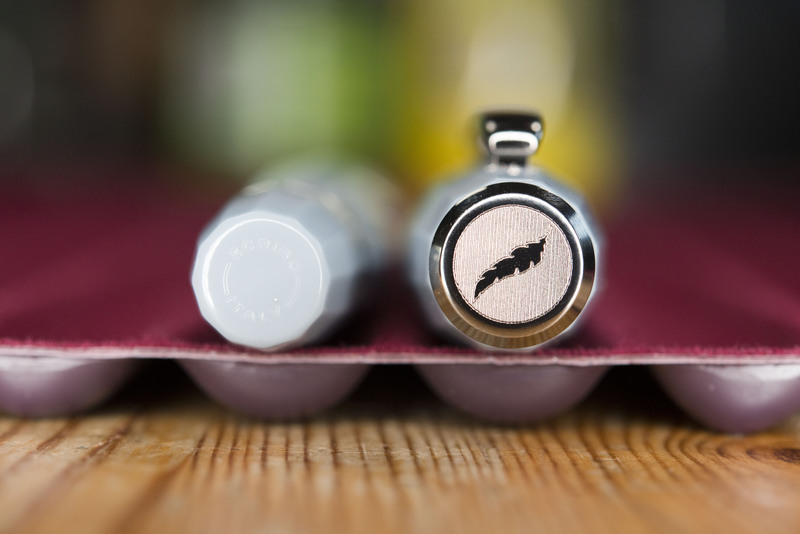 The metalwork is ruthenium plated (the dark blue pen uses rhodium instead), which works well with the lighter colour and is different from the usual bronze, silver or gold you find on most pens. 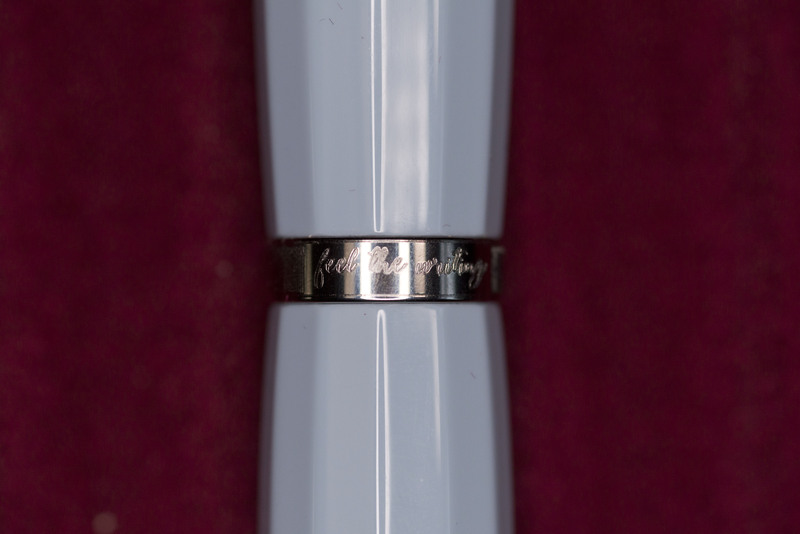 The cap finial is metal and shows a quill, the ScriBo emblem, and the barrel finial is engraved with Scribo Italy. The cap band has Scribo on one side, and Feel the Writing on the other. Something I like and does not sound trite (you listening Pineider?). There is a band at the end of the grip, by the nib, which should people on forums have expressed concern about, but I do not see an issue and there enough pens at all cost levels with metal grips and others with similar rings. The clip is curved in shape (like one side of a quill) and sprung. It works very well and feels like it could take some real punishment. Comparing with other pens you can see just how large it is. 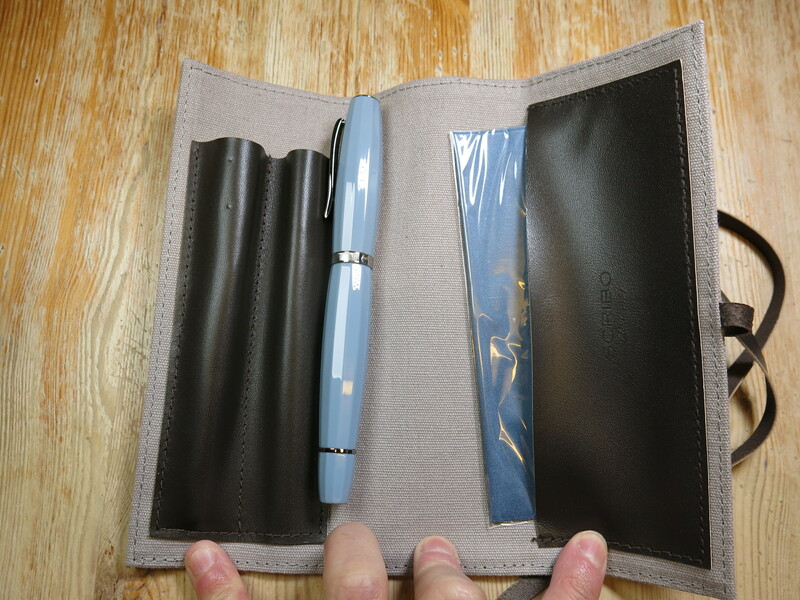 In order the other pens are ScriBo Write here (version 1), Lamy Al-Star (as my standard size reference), Visconti Oversized Medici (chosen on purpose due to cost point), and OMAS Ogiva ALBA. The pen may be large, but it is comfortable in the hand. Due to it’s length and balance point I actually find I hold it slightly further back with my thumb on the threads, which are soft and so I do not notice them. Also the edge of the barrel behind the threads is also soft and not noticeable while writing. 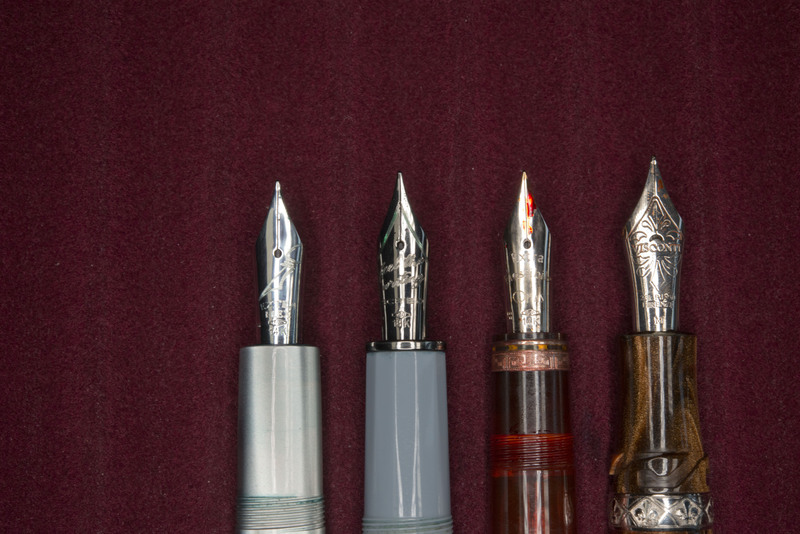 Nib wise you have the options of extra-fine, fine, medium, and broad, in either a 14k gold ‘flexible’ or and 18k standard nib. I went with the fine 18k, partly as this was to be an every day writer. 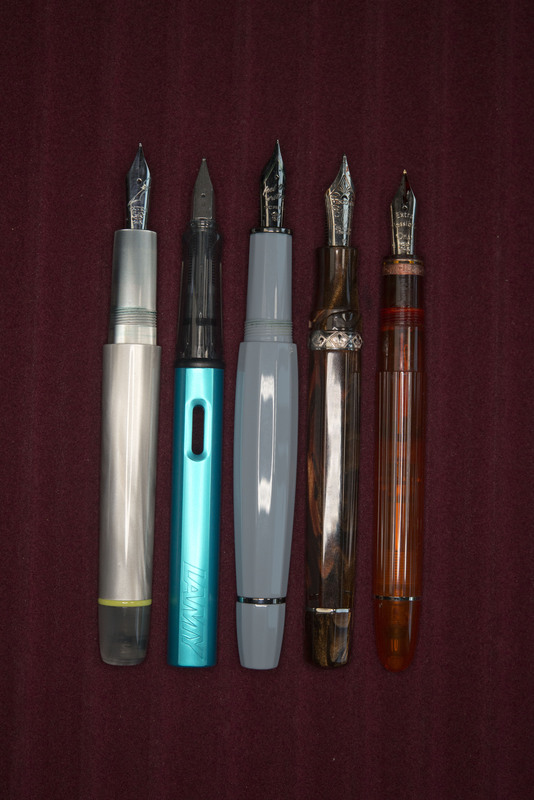 The nibs are made from the very same machines that OMAS used, as is the ebonite feed. Mine had been dip tested before sending out (and I do wonder if the thank you card was written with this pen as part of that test) and was smooth from the start. There was slightly more stiffness than I expected from the nib, but this seemed to disappear either as I got used to the pen or as the nib wrote in. It is very wet and juicy and provides a surprising level of variation without feeling like the tines are being put at risk. 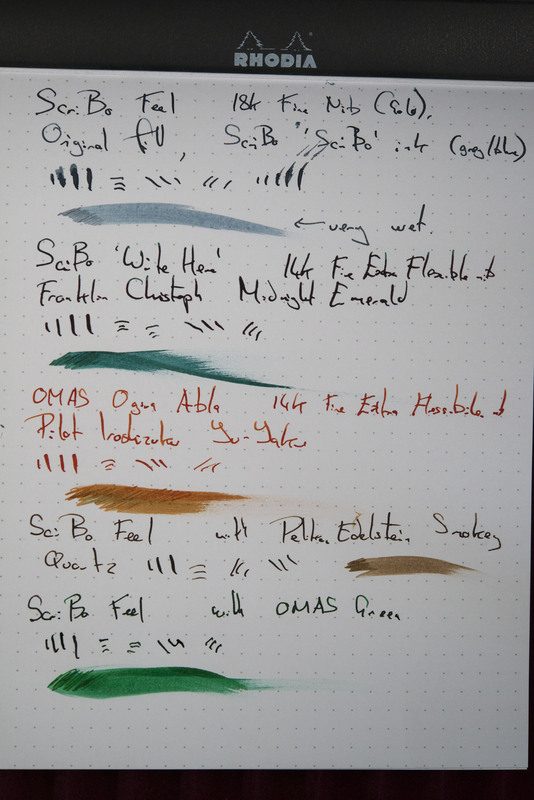 Here I have compared it with a couple of OMAS/Scribo 14k flex nibs, and also with a number of different inks in the Feel. 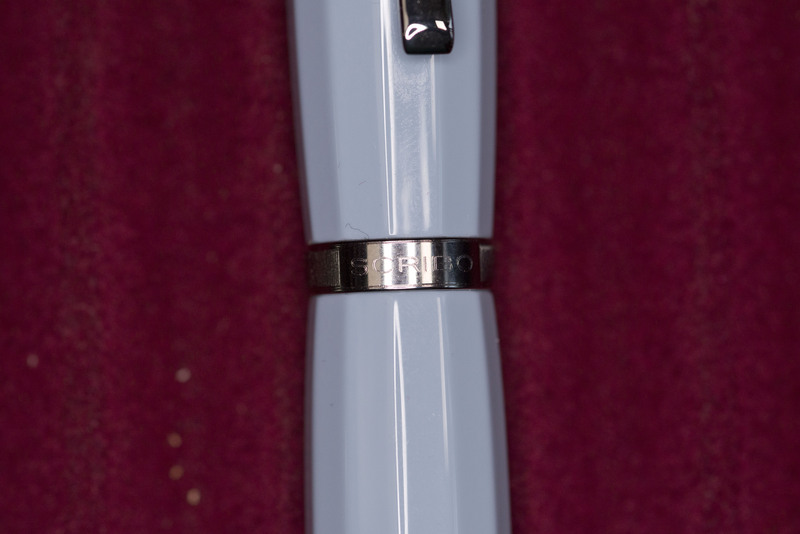 The nib is engraved with .. a nib, which acts as a frame to the the gold level, Scribo name, and “Feel the Writing” statement (on the 14k nib it says “Feel the Flex” instead). So what are my views and conclusions. It is not a cheap pen, but the as Luca pointed out in the video when I raised this as a concern, it is at the same price point as standard OMAS Paragons were. It is hand turned from a single rod and the facets carved in. 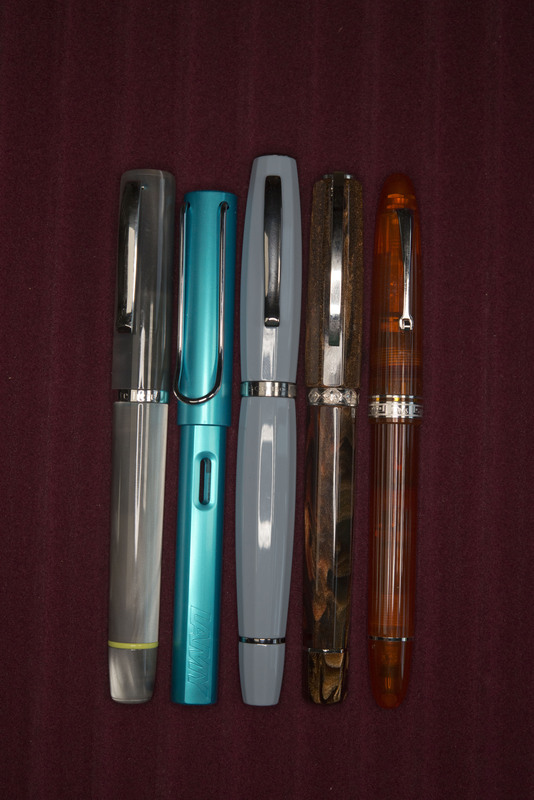 Additionally it is slightly cheaper (or was) than the Visconti Medici Oversized fountain pen that I used in the size comparisons, for while that arguably has a prettier material, it is still resin, and that pen has both a cheaper nib (palladium was roughly half the price of gold when Visconti switched), and also has a plastic feed. The Feel also feels considerably stronger and better made in the hand. There is nothing stopping ScriBo from using other rods in the future and I would love to see some interesting resins used further down the line. For those who feel OMAS celluloid is the only way to go, there will be nothing but disappointment as what remained when OMAS closed was all bought up and it’s now illegal to manufacture the material in most countries. The writing experience is very good though I have swapped through a number of inks to get the flow down and have a colour I like (I’m not a fan of Pelikan Edelstein Smoky Quartz, which works very well in the Feel), finally the size works well for me. Shape and look of the pen (may not be to everyone personal tastes). Modern, yet classical unique design. 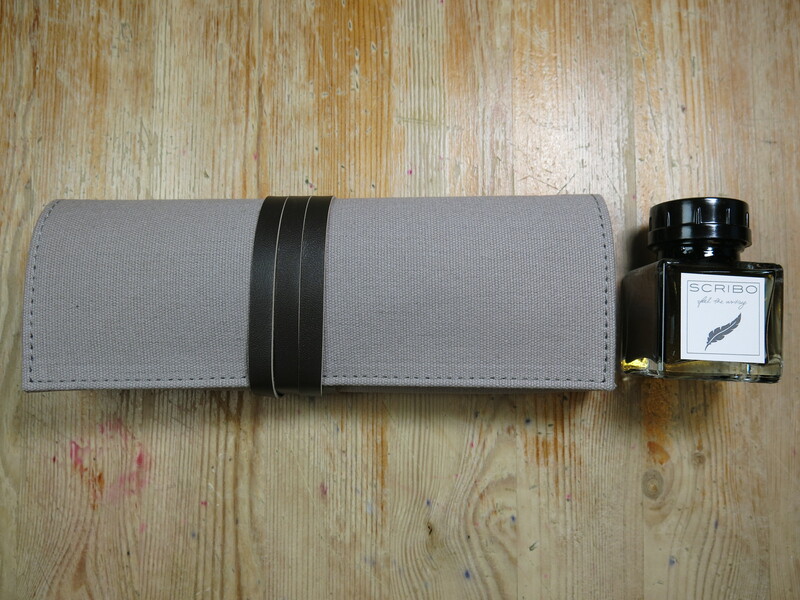 Practical packaging (the pen roll). Limited colour/resin choice (at present). 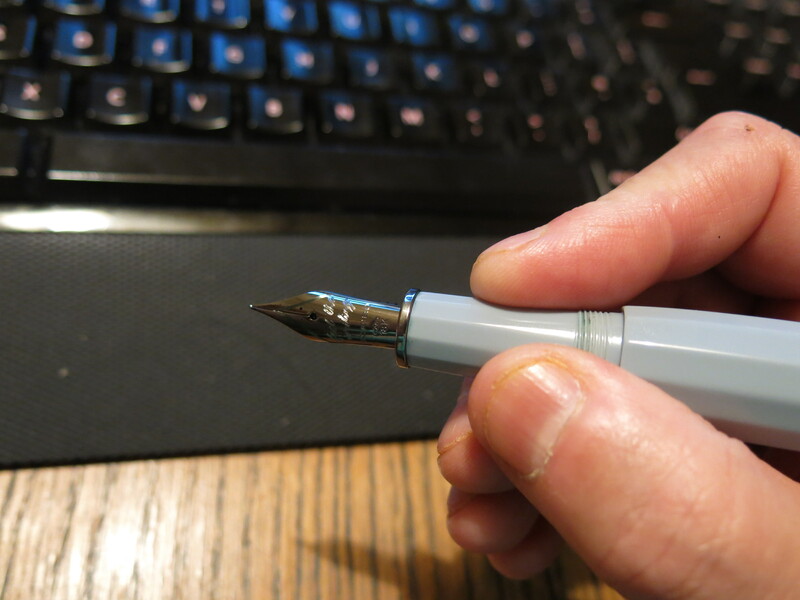 Nib at times is too wet for general note taking, though ink dependant. It seems the pen has done better than expected for a first consumer model of a luxury pen and hopefully this will continue and also result in new models. Would I buy another? – for me pens at this price point are one time only purchases, so instead I’m going to answer the question as to whether I am happy or regret spending ~£600 on this pen. The answer is yes I am glad I got the pen. Part of me wonders if I should have gone for a medium nib, but it was a choice I made, and who knows maybe that will be an excuse for another ScriBo model/pen further down the line. For awareness, this pen was bought with my own money and while it came with a free 20ml bottle of ink, by checking on the forums you’ll note all who bought direct from ScriBo received the same gift. I also have been using this pen as a daily at work for four weeks now and will continue to do so. I have also been using the supplied roll to carry it around, which has allowed me to easily take two pens in to meetings, and the only reason this may change is because, as stated on a previous post, I use the 6 slot penvelope to reduce the number of pens I take to work and this roll is resulting in pen carrying creep. 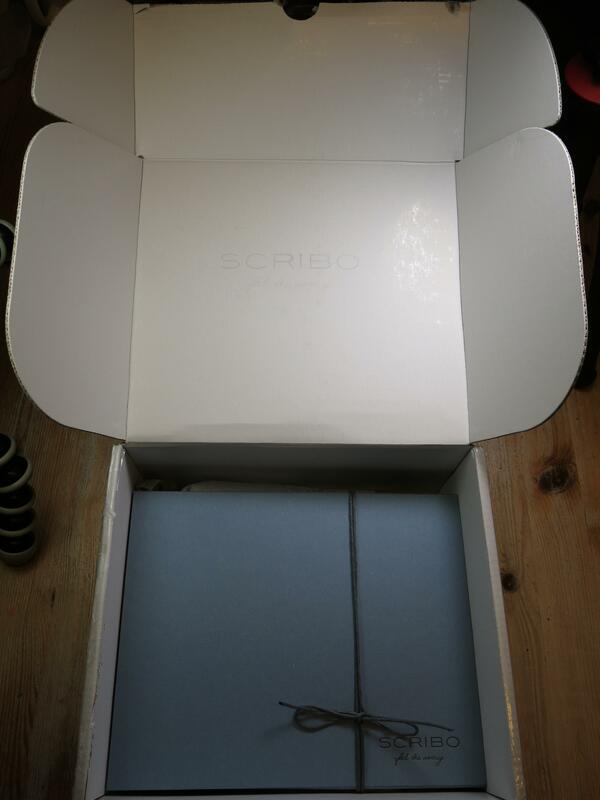 Really enjoyed your review of the Scribo Feel. I love my own – an EF 18k nib – but in the dark blue. I think of it as my “coffee pot” inspired pen. Do you find your nib has a very pleasant “rustle” when it moves over the paper? 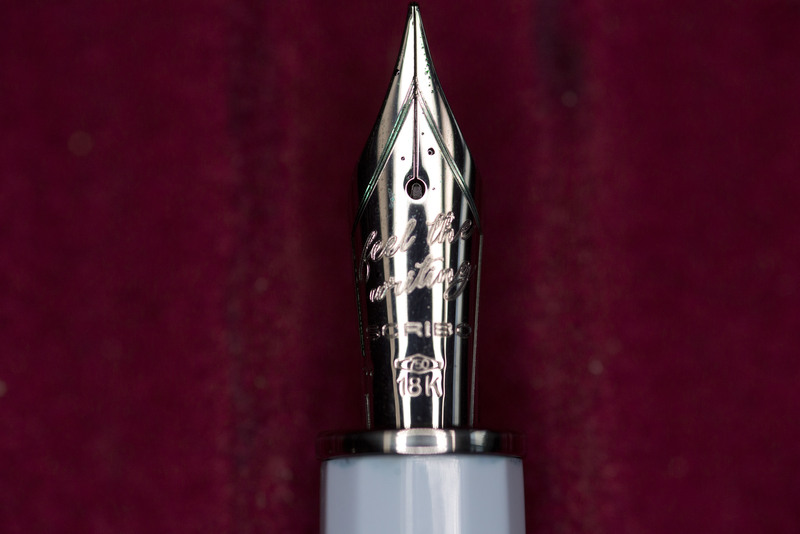 I have no other nib that has this sound – distinctive and lovely. How do you find it compares with the Scribo Write Here (Version 1)? The paper must surely make a difference as the textures can be so varied – but mine can rustle on Rhodia and Maruman. I can’t remember what it did on Tomoe River … 🙂 Thank you for the comparison with the Write Here – interesting to know.